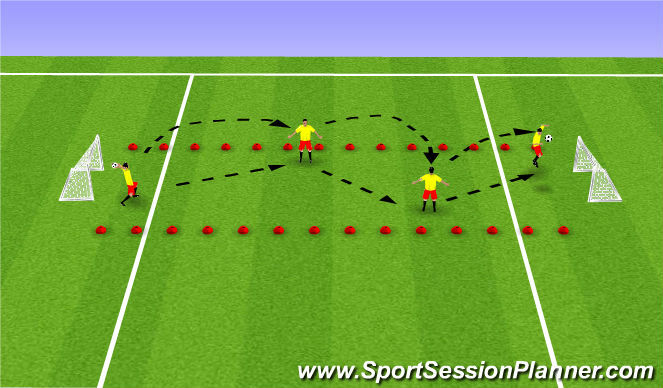 he coach starts the game with a pass to one of the 3 attacking players in the zone closest to the coach. The attackers play 3v1 and attempt to advance the ball into the attacker standing in the middle zone. One of the defenders/midfield players can advance to the middle zone by dribbling or passing into the forward. This creates a 2v1 in the middle third. The final third remains empty until the attacking players either dribble or pass into the zone. The defending team scores a point by winning possession of the ball and passing to the coach.